Washington D.C. is perhaps the pre-eminent international soccer city in America, drawing the highest World Cup ratings in the U.S. in 2014. So even without the US Men’s National Team this summer, there are plenty of soccer celebrations going on in and around the District for nations that are competing. 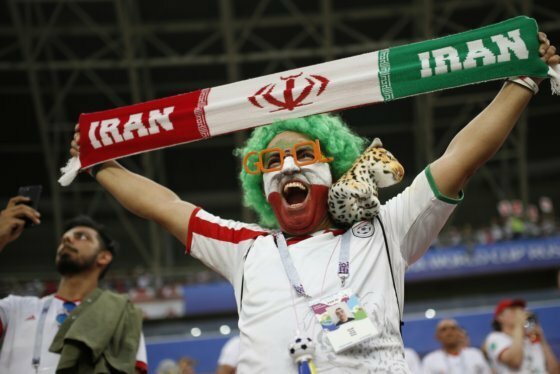 This is the second installment of World Cup Watch, a series featuring those celebrations. FALLS CHURCH, Va. — It’s been 28 years since Egypt has made the World Cup. Twenty-eight years. That’s a generation; seven World Cup cycles. Twenty-eight years ago, Dina Daniel was still in Egypt. Twenty-eight years ago, Mo Salah — her native country’s best hope at making a deep run this summer in Russia — wasn’t yet born. But now Daniel is here, an American immigrant success story, having gone into business for herself by opening an Egyptian food truck, then riding its success to the brick-and-mortar iteration of Fava Pot in Falls Church, Virginia, which opened its doors last fall. Within its walls, one is devoted to famous Egyptians, their faces and accomplishments depicted in artistic detail. But one man has a different wall to himself, front and center, behind the counter, facing the guests as they arrive. Mid-stride, donning his club Liverpool’s red kit, Mo Salah charges forward, head tilted ever so slightly up, eyes focused, his visage hopeful for the opportunity ahead. Salah is shouldering the hope of his entire country. There’s just one problem — one of those shoulders was dislocated, knocked from its socket on a hard tackle in the European Champions League final on May 26 by Sergio Ramos. Now, the country holds its breath (Salah is doubtful for the opener, but the hope is he’ll be back for Egypt’s second game of the tournament), because Salah is more than just perhaps the greatest soccer player on Earth at the moment, scoring an English Premier League-high of 32 goals in just 36 games this year. He is also a model of hope for the working classes, riding an indefatigable work ethic from a childhood in a small farming village to international soccer superstardom. In a country still finding its footing after the 2011 revolution, Salah is a national hero. Hope is intrinsic to Daniel’s own mission. Upon first arriving in America, she worked for an American-Egyptian nonprofit in Fairfax County for six years. So when she decided to open Fava Pot, she was committed to make sure her restaurant was doing more than just feeding people. That’s why part of every purchase goes back to that program, Coptic Orphans, helping fund educational opportunities for Egyptian girls in need. “I have seen what they are doing firsthand for kids, especially girls, in Egypt — helping them in education, one-on-one training, and mentoring,” she said. 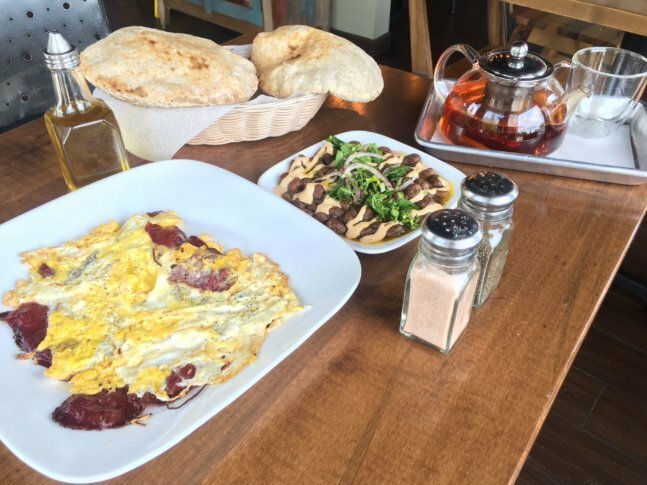 There are countless Mediterranean restaurants of various influence around the Washington area. But it was also crucial to Daniel to actually celebrate her specific heritage. So she opened her own. There’s purpose in the name, too, as fava beans play an outsized role in Egyptian cooking, the same way chickpeas or other staples dominate in other cultures. “Egyptians eat fava beans breakfast, lunch and dinner,” said Daniel. They’ll be featured in the Egyptian breakfast she’ll serve for Egypt’s opening game of the competition, Friday, June 15 at 8 a.m. as they take on Uruguay. The restaurant is bringing in two additional big screen televisions for the competition and will serve a special menu. “We decided to have an event for breakfast where the Egyptian community, the American community, anyone who are welcome to come and join and watch it together,” said Daniel. The dishes include ful medames, a hearty vegan dish of slow-cooked fava beans with a heavy dose of cumin, a tahini sauce, chopped onions and fresh herbs, reminiscent of a vegetarian chili. There will also be a dried, cured beef called basturma — with flavors evocative of corned beef, but with a texture like turkey bacon — scrambled into eggs. Like everything at Fava Pot, it will be served with aish baladi, the Egyptian pita, made in a stone oven with white flour, wheat grain, water, yeast, salt and sugar. Likewise, Daniel will be open whenever Egypt plays, however far her home country advances. Every chance she, and Egyptians everywhere, get to watch Mo Salah. For more information about Fava Pot and their charity work, visit favapot.com.